You are in the region of Marina Alta, north of the province of Alicante. Benissa is one of the municipal terms of the Valencia Community and its extension reaches the sea. The coast of Benissa is dotted with beautiful coves of transparent and warm water. You will also find the mountain very close, with the Sierra de Bernia, Oltá, Pinos, .... Nearby is Calpe, 8 km, much more tourist and with all kinds of shops and restaurants. Its beaches are of a very fine sand and are dominated by the Peñón de Ifach, which you should not miss. An excursion to the Rock and contemplate the magnificent views is essential. Further north is Teulada - Moraira. We recommend that you visit Moraira, a charming, elegant and small town where you can spend the day in Cala del Portet or in Playa de l'Ampolla. Other nearby towns are Denia and Javea. Denia stands out above all for its gastronomy. That's where the famous chef Quique Dacosta comes from, three Michelin stars. Javea has a great beach with restaurants and pubs to enjoy the day or you can also visit the Cabo de la Nao lighthouse. As you can see, you are in the center of a magnificent environment of mountains, beaches, coves, sea and gastronomy that you will only find here in Benissa. The main festivities that the town follows with great devotion, are the patron festivities in honor of the Purisima Xiqueta, which are celebrated on the fourth Sunday of April and last for 10 days. In them we can highlight the free concerts, the bullfighting acts and the emotional rise and fall of the Virgin, before and after the procession, which many Benisseros attend. Other notable festivals are the Moors and Christians, which are celebrated in honor of San Pedro, the weekend closest to June 29. In addition to these two festivals, the Fair and Porrat in honor of San Antonio is also celebrated in January, which lasts two weekends, in the last of which a medieval fair is also held. La casa es preciosa, con todos los detalles posibles. Disfrutamos de un fin de semana ideal, en una casa rural ideal!!!! Bien ubicada, perfectamente acondicionada y super bonita. Mención especial a los colchones y la ropa de casa (sábanas, toallas, mantitas de sofá.....). Además los dueños son encantadores!! Da gusto encontrarse con personas así. Repetiremos seguro!!! Primero agradecer a Fabrizio y Ma angeles por su acogida, son muy agradables y atentos. 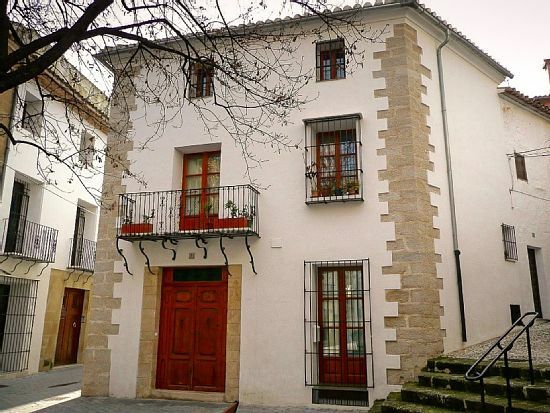 La casa es preciosa, hecha y amueblada con mucho gusto. Muy fresquita en verano, en un pueblo tranquilo y bien comunicado con los otros pueblos de la zona. Repetiremos sin duda!